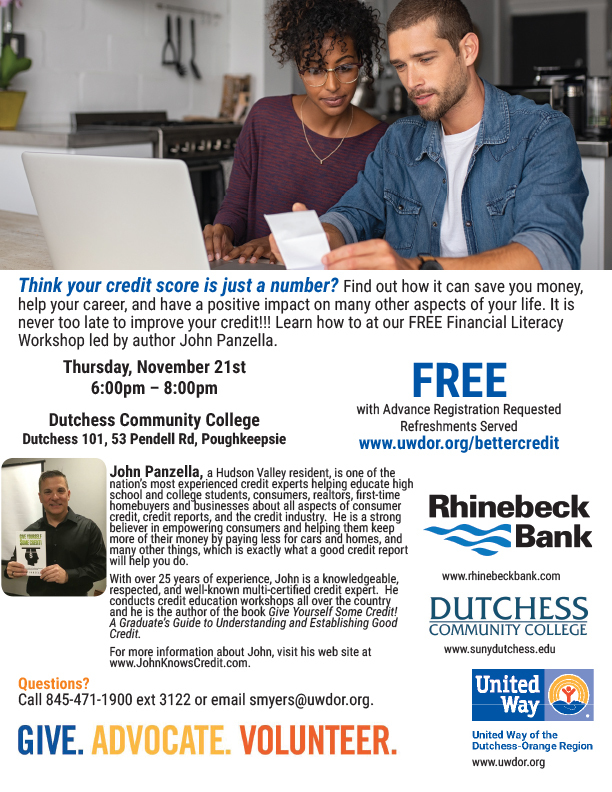 On Thursday, October 18thfrom 5:30 to 7:30pm, Rhinebeck Bank and United Way of the Dutchess-Orange Region will co-present a free workshop by author and credit expert John Panzella to inform people how to maintain, improve or repair their credit. Dutchess Community College is hosting this important presentation in Dutchess Hall (Room 101) and it is held in conjunction with their Financial Literacy Week at the college. Refreshments are served and reservations requested. To reserve your space, go to www.uwdor.org/register-oct18. Think your credit score is just a number? Find out how it can save you money, help your career, and have a positive impact on many other aspects of your life. It is never too late to improve your credit!!! Learn how to at the free Financial Literacy Workshop led by author John Panzella. John Panzella, a Hudson Valley resident, is one of the nation's most experienced credit experts helping educate high school and college students, consumers, realtors, first-time homebuyers and businesses about all aspects of consumer credit, credit reports, and the credit industry. He is a strong believer in empowering consumers and helping them keep more of their money by paying less for cars and homes, and many other things, which is exactly what a good credit report will help you do. With over 25 years of experience, John is a knowledgeable, respected, and well-known multi-certified credit expert. 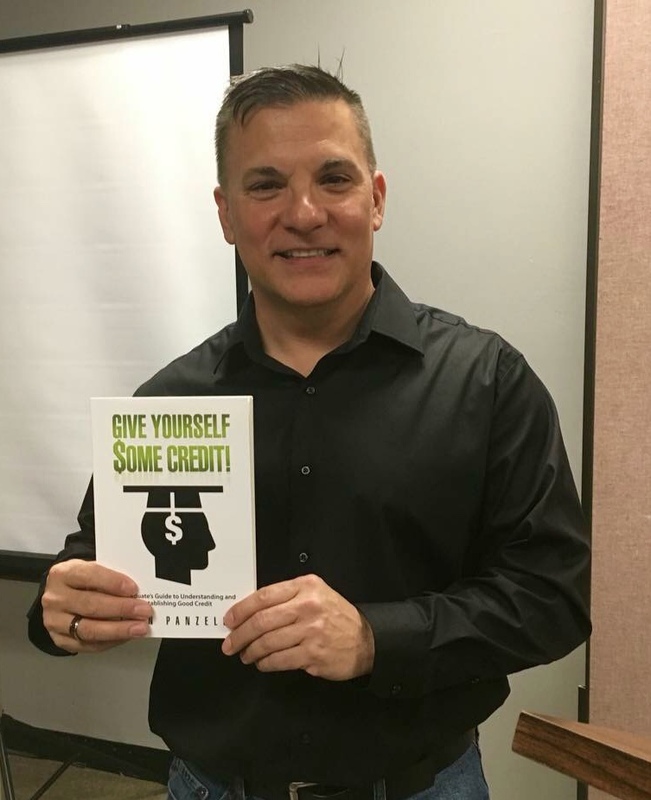 He conducts credit education workshops all over the country and he is the author of the book Give Yourself Some Credit! A Graduate's Guide to Understanding and Establishing Good Credit. For more information about John, visit his web site at www.JohnKnowsCredit.com. Dutchess Community College is hosting the workshop on their Poughkeepsie campus as part of a week-long series they are presenting with My Money Workshop. To register for this free workshop, go to www.uwdor.org/register-oct18. If you have any questions, please contact Financial Empowerment VISTA Patrick DeLeon at 845-471-1900 ext 3122 or email pdeleon@uwdor.org.